While seeking for possibilities to co-create and co-learn as well as have significant impact as a community, the method of Working Out Loud crossed our way. 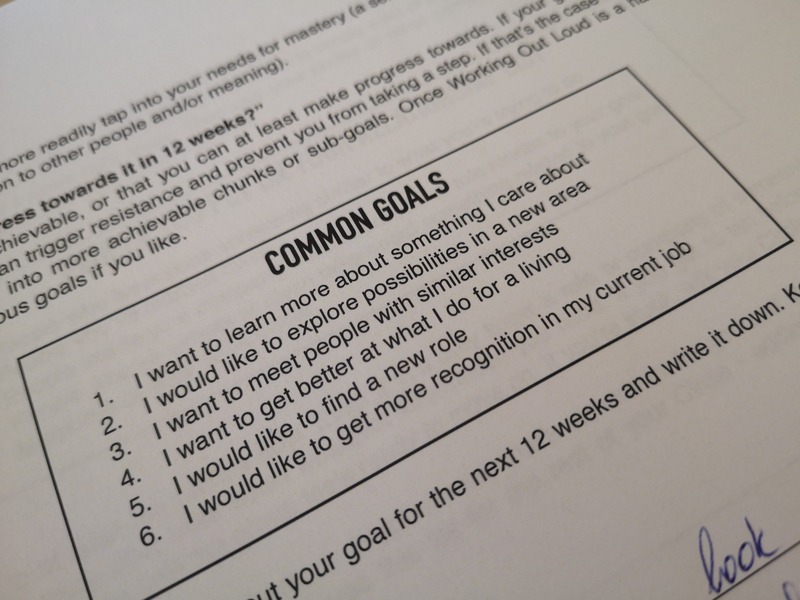 The mission is simple: Define your personal goal, build relationships that matter and therewith increase the quality of your work and life together with the feeling of belonging somewhere. And we jumped right into it. The term “Working out loud” entered our company via our CEO Gunther Fürstberger who began to drop it here and then and also shared this video from John Stepper with us. It’s 57 minutes long – if you have less time, watch the 10-minute Ted Talk. Gunther’s fascination and interest gained our attention in the team. That’s why we started to talk more about it, exchanged thoughts and soon we agreed: Let’s try this! Working out loud itself has two dimensions. On the one hand the big picture: Working out loud as a general mindset within organizations and communities. A mindset building on relationships, generosity, visible work, purposeful discovery and a growth mindset. The second dimension is the one of a hands-on mastery program, consisting of a twelve-week Working Out Loud Process done by a circle of people who want to grow and learn together. And this is what we are up to. 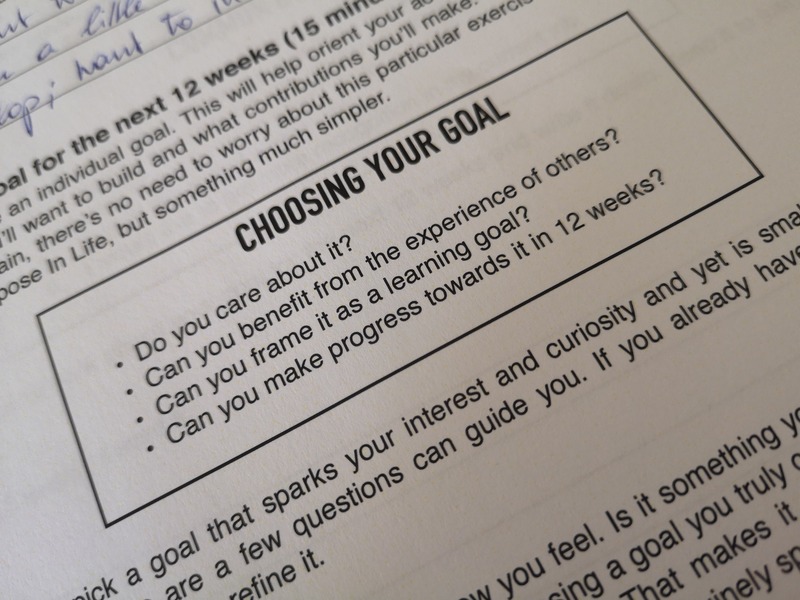 All you need for the process are 4-5 people keen to grow, a personal and emotionally resonating goal per person and the commitment of these people to spend one hour per week in a series of twelve consecutive weeks. It’s really that simple. And at the same time it promises big impact and big improvement. 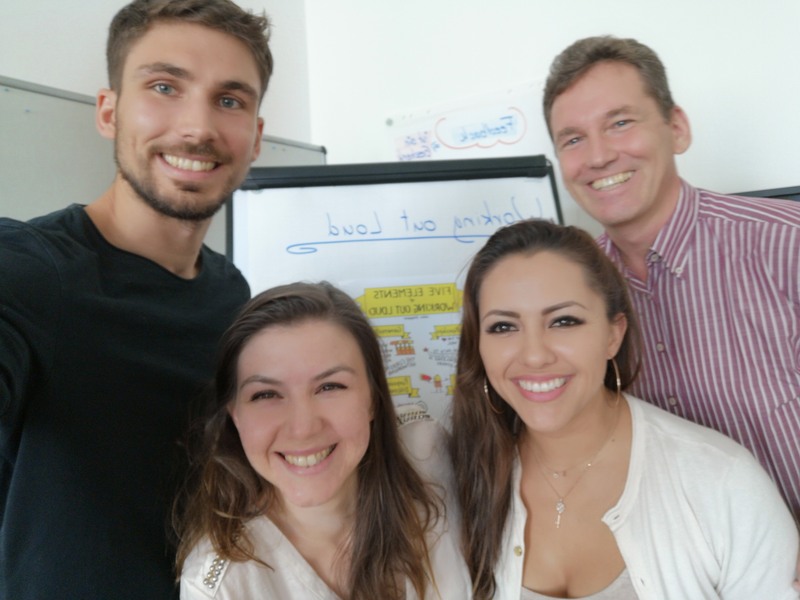 By the way: our first circle consists of our CEO Gunther, our head of Solution Development Dominik, our head of Trainer Management Helena and me as a Marketing Manager. The first meeting – and also all following ones – are defined by a very precise guideline, giving not only concrete exercises but also a detailed time frame. 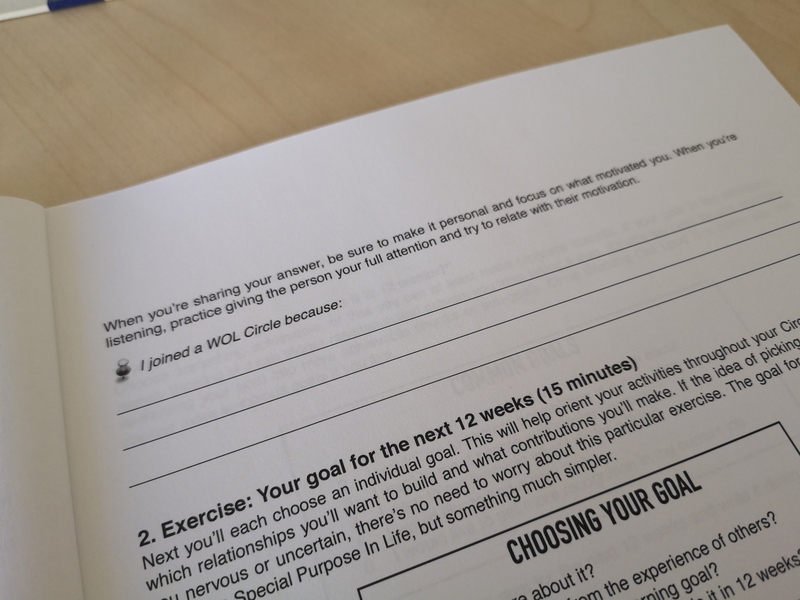 Main parts of the first meeting are the following: Share the reason(s) you are in the circle, decide on your goal and share it together with your motivation beyond and make a first draft of your relationship list which will accompany you during the following twelve weeks. Detailed circle guides tell you exactly what to do in what week. Like with everything new, there is this huge motivation and anticipation when you leave the first meeting. At least it felt like that for me and I guess it’s on purpose because the method explicitly wants you to connect with your intrinsic motivation and inner drive. I’m also really curious on the results and on how something will be changed because the method does not give you tasks in between the weekly meetings – at least not after week one. The motto of the next meeting will be “Offer your first contributions” and I’m excited of what to expect. Being a leader in the digital transformation is challenging in multiple ways. For proper dealing with that fact, we like to use the metaphor of a surfer, having a look on all the waves out there and deciding on the best one for him to surf. While speed of change is faster than ever and “everything goes digital”, a lot of leaders have the urge to connect to a higher purpose and to tap in their inner motivation and drive in order to not only feel joy while working, but also to be better and more effective at what they do. We’re keen to try everything out there in terms of agile methods and tools to deeply understand what we are talking and selling to our customers. On our team workshop in May, we experimented with Lego Serious Play and gained a lot of benefit out of it. Join our network and never miss an article. Welcome to our network! You'll receive a confirmation link shortly. We meet our network at eye level, so we'll treat your data with respect!